Jean-Carl Menalas has over 17 years of experience in the fitness industry as a trainer and a group fitness instructor. JC earned a Bachelor of Science Degree in Exercise Science with an emphasis in Fitness and Nutrition from Florida State University. 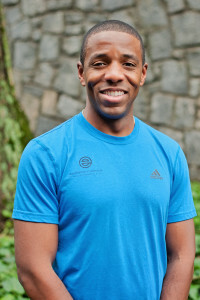 He is a certified personal trainer through the National Academy of Sports Medicine (NASM), is a speed-power specialist, and is kickboxing and CPR certified. JC is also an accomplished triathlete. In 2007, JC completed Ironman Florida and currently competes in triathlons of Olympic and sprint distances. JC’s Philosophy: I aspire to help individuals get in shape, gain muscle, and lose weight so that they may get more enjoyment out of life and become the best person they can be.